The friendship which can cease has never been real. This entry was posted in Sayings from Saints, Elders, and Fathers, St. Jerome and tagged Friends, Friendship on October 8, 2015 by . St. Jerome: You may see many women widows before wedded . . . This entry was posted in Sayings from Saints, Elders, and Fathers, St. Jerome and tagged Abortion, Conception, Death, Murder, Pregnancy, Suicide on October 24, 2013 by . St. Jerome: Dwell not in the temple of idols . . . This entry was posted in St. Jerome and tagged Discernment, False Ecumenism, Living Orthodoxy, Orthodox Education, Pagans on September 14, 2013 by . 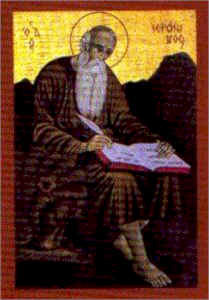 St. Jerome: May your actions never be unworthy of your words . . . This entry was posted in Sayings from Saints, Elders, and Fathers, St. Jerome and tagged Accountability, Blame, Clergy, Fasting, Greed/Avarice, Priest, Robbers/Thiefs, Teach, Words, Works on August 6, 2013 by . St. Jerome: The proud sin greatly . . . This entry was posted in Sayings from Saints, Elders, and Fathers, St. Jerome and tagged Delusion, Holy Scriptures on July 12, 2013 by .